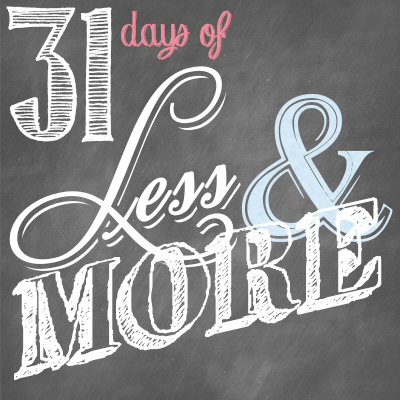 This is Day 30 of our 31 Days of Less & More challenge. To read all the posts in order, start with Day 1, then visit the Overview Page to see the entire series. The holiday season is almost here. Thanksgiving, then Christmas will be here before we know it, along with all the hustle and bustle that seems to accompany this time of year. I don’t know about you, but the holiday season I dream about in my mind is often much more idyllic than the frenetic, stressful, and action-packed month I actually experience. Our already hectic schedules gets even crazier, and suddenly on top of everything else there are presents to buy, cards to send, parties to organize, pageants to attend, menus to plan, cookies to bake, bells to ring, carols to sing and goodness only knows what else. With so much to do and buy and not enough time or money to get it all done, it is no wonder the holidays often have most of us feeling stressed rather than blessed. Plan ahead. 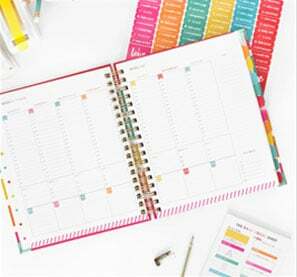 Taking just a few minutes early in the season to set a budget, plan your menus, and determine your priorities can be the difference between memories to last a lifetime and a holiday you’d simply like to forget. 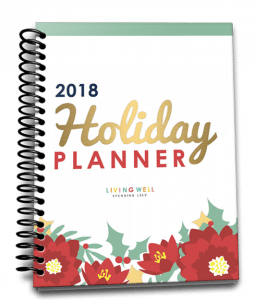 You can get this year’s version of my holiday planner here. Reserve Space in Your Schedule. Make a conscious effort to guard your time so that not every minute is filled with activity. Before your calendar is booked, take the time to block out at least one day each week for downtime, and make in non-negotiable. Cut Down on Gifts. Vow this year to make your holiday season about something more than stuff. Foster an “Attitude of Gratitude” in your kids. Help them create handmade gifts or goodies for friends and family, focusing on the giving rather than receiving. When it comes to gifting, try following the “something you want, something you need, something to wear and something to read” rule. Volunteer. There is simply no better way to feel the joy of the holiday season than by freely giving of your time, energy and resources to those in need. I promise that the more you give, the more you will receive. Eliminate the Unessential. Do we really have to send out 200 Christmas cards or attend seven different holiday programs or bake four different pies from scratch for Thanksgiving dinner? If the hustle and bustle of the holidays has become a burden rather than a blessing, then it is probably time to reevaluate. Determine your priorities, accept the idea that there is no way to do it all, and then gracefully bow out of the obligations that don’t make the cut. Print my Holiday Planner & take some time to set your priorities, menu, & budget for this holiday season. Be sure to block out time in your schedule for rest and laughter at home with your family. Think of one or two family traditions you would like to establish this year, and make a plan to follow through on them. Be sure to check out Crystal’s thoughts on Less Surface Clutter/More Art from yesterday’s post! What do you love most about the holidays? Is there anything you dread? How do you deal with the stress and obligations that often accompany this time of year? What are your favorite holiday traditions? Great tips. Christmas is that time of year when you want to enjoy it so much that sometimes you get caught up in too much. Every year my hubby says less, less and sometimes we go overboard anyway. Some years we’re able to keep it on track and those end up the most memorable. Healthy balance. Blessings! Balance is so hard, isn’t it? Blessings to you too Melanie! 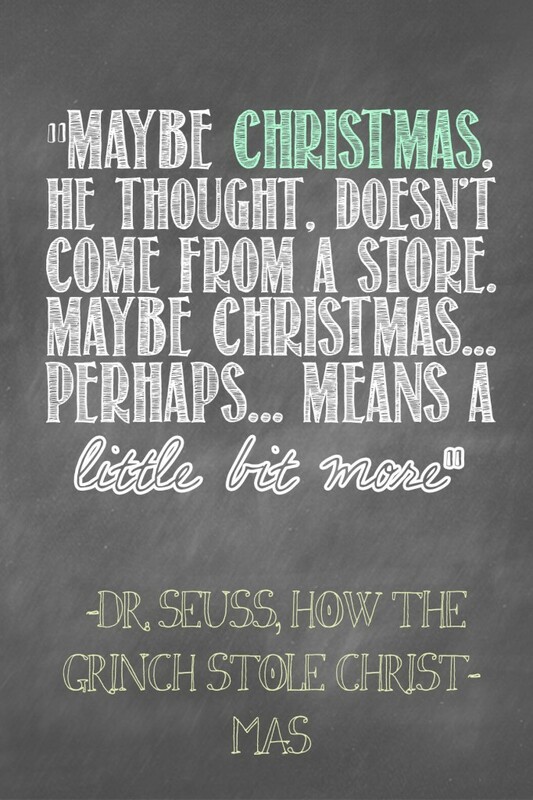 That is exactly why I don’t like Christmas….too much about stuff. 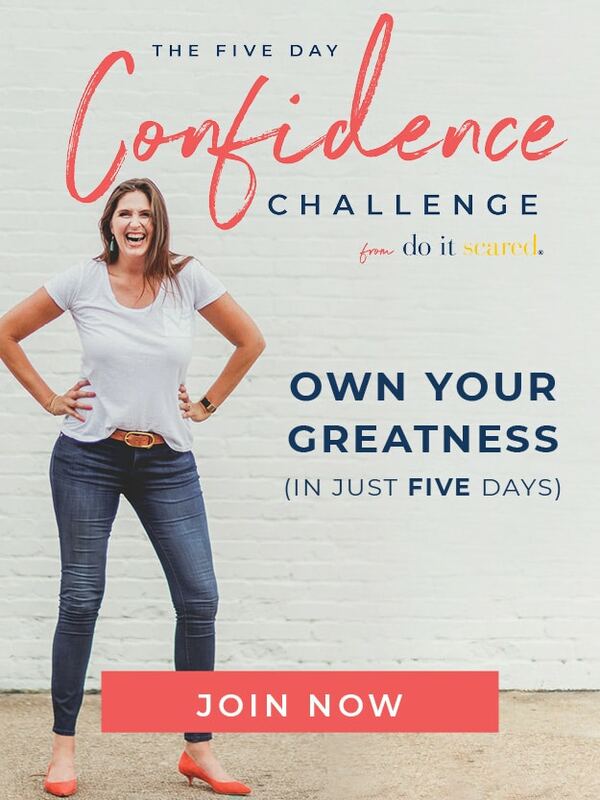 And it starts in July. Can’t even enjoy Thanksgiving anymore cause they start the big shopping day on the day of Thanksgiving. I wish people would realize that the day is about the birth of Christ, not how much money you can spend on ‘crap’ no one will remember by March. Sorry……I love Thanksgiving! I agree!! It’s sad that stores are now opening earlier than midnight for Black Friday deals!!! I have never hear the “Something you want, something you need…” quote before. I love it! This year we are going out of town and will have Christmas morning with all their cousins, so I’m a little nervous about how the comparing of gifts will go. Brilliant Stephanie! My kids are probably the same as yours and think Santa shops at the thrift store too. My son got a fixed up bike for his birthday and it was his favourite present even over all the ‘new’ lego, trashies etc he got from aunts & uncles. With the age of your kids at the moment I think they’ll be fine Christmas morning and will be too excited about their own presents from Santa to compare them with their cousins. We’ve had the last two Christmases with cousins and I was worried as well but it was fine. Because we’d selected a few presents related to things our kids really loved or were in to they too busy with there own presents to worry about anyone else’s. That may change as they get older but I’m hoping it doesn’t! Oh my- absolutely. I have been paring down more & more each year. Sometimes out of wanting to spend less & sometimes because I just don’t have the time to go all out. Then years like this one where both those are true & I’m happy about it because I really want less mental & physical clutter around. Feeling the need to scale back in many areas & Christmas is a great time to really embrace that mindset. My husband and I love Christmas and start listening to Christmas music and watching Christmas DVD’s at the end of October. Having said that it’s not overkill to us because we’ve picked and chosen the bits of Christmas that we love and do it the way we want. I do not send any Christmas cards and gifts are kept to a minimum within our family and bought only for the nieces and nephews in my extended family. I bake cookies only if I feel like it and Christmas Day is a casual affair with all the adult members contributing a dish. Being summer in Australia we don’t do the whole Turkey thing! Before having kids my husband and I actually went away on holidays at Christmas time for a few years as we discovered there were cheap flights on Christmas Day!! Not doing the whole Christmas thing with extended family for a few years really helped us then make conscious decisions about how we wanted to do Christmas as a family once we had kids. I’m currently re-reading SIMPLIFY YOUR CHRISTMAS by Elaine St James. I think this book is great for getting a bit of perspective about Christmas and helps with realising that Christmas as much of the western world does it is a relatively new tradition and it is possible to opt out of certain aspects or even all of it if you wish. I’ll have to check it out–thanks Bonnie Jean! We started the “something you want, something you need….” about nine years ago and WOW, that was huge for me personally. I realized I was the one going overboard to fill some void or maybe I was bored with what we had (which I know is really sad!). I was convicted and each year try to do less and not a shock, the less I do, the happier I am. Thank you for the entire series, it was so nice to find you and Edie just as you were starting the 31 Days–it gave me something to look forward to every day. Now, of course, I look forward to reading more and digging through your archives.